Norwegian Bliss has come out on top as having the best cruise ship hull artwork in the 2018 fifth annual Cruise Ship Awards. The newest NCL vessel was up against five other ships including sister ship Norwegian Joy. The third Breakaway-plus class cruise ship operated by Norwegian Cruise Line has received more votes than any other for “Best Cruise Ship Hull Artwork” in this year’s cruise ship awards. Norwegian Bliss was up against sister ship Norwegian Joy which came in second and Princess Cruises Majestic Princess which came in third. 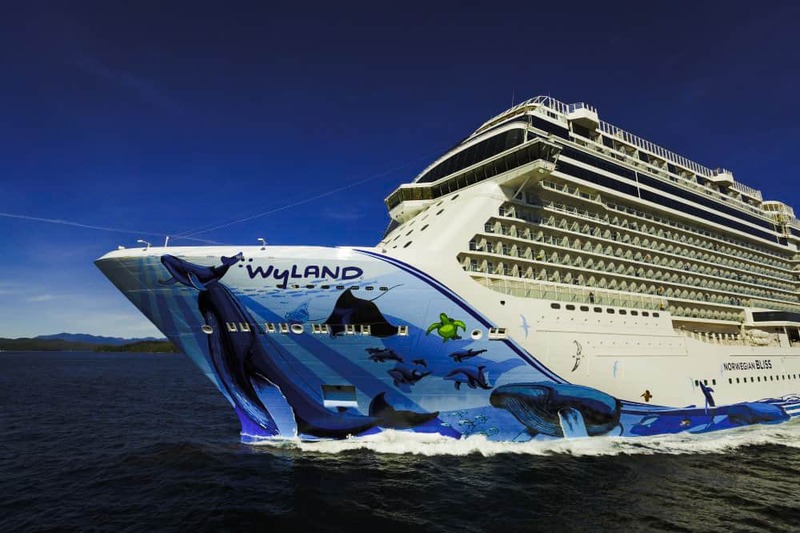 Norwegian Bliss is an outstanding ship offering the very best from NCL and she features an inspiring hull artwork which has been brought to reality by one of the world’s premier marine life artists, Wyland. The design is named “Cruising with the Whales” which features a mother humpback whale and her calf. The artwork is very prominent at the bow and flows all the way towards the aft. The artwork is to showcase how important whales and marine life are to our world which Wyland has been very dedicated to highlighting in his iconic whale murals, marine life paintings, and sculptures. 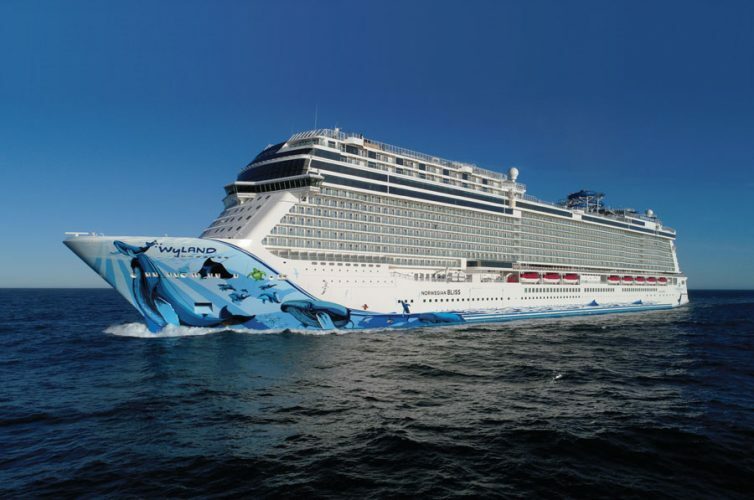 Norwegian Bliss joined the cruise line in Spring 2018 and has been based out of Seattle, Washington sailing Alaskan cruises before beginning a new Winter season from Miami, Florida. The new Norwegian Cruise Ship is one of the largest in the world at 167,800 gross tons and a guest capacity of 4,000. She features a two-level electric powered race track at sea, an open laser tag course, expansive water slides and a wide range of bars and restaurants. The second Breakaway-plus class vessel which has been purpose-built for the Chinese market received the second highest amount of votes from Cruise Hive readers in the Cruise Ship Awards. Norwegian Joy won last year’s hull artwork category which you can read all about here. The hull artwork for the currently based Shanghai cruise ship was designed by renowned Chinese artist Tan Ping. The design named “Phoenix” features a mythical bird which is believed to reign supreme over other birds around the world, popular within Chinese culture. 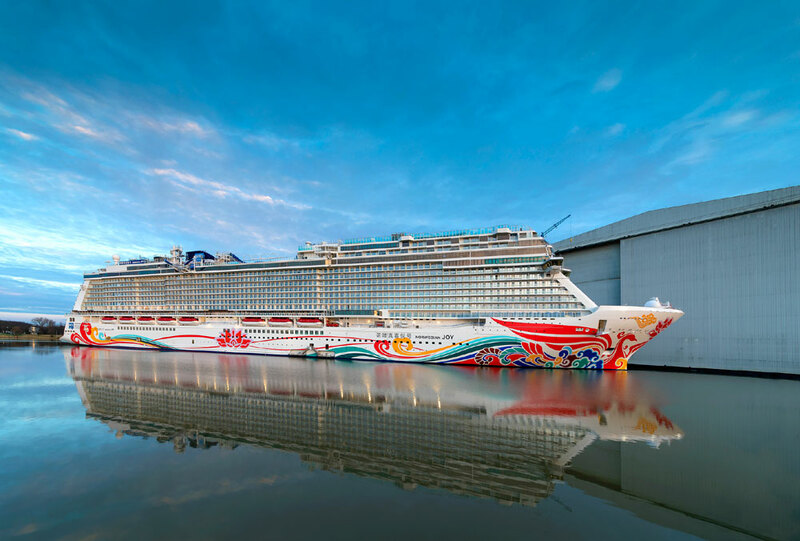 Norwegian Cruise Line recently announced that the ship will leave China and be redeployed to the U.S. west coast starting in April 2019. The vessel will offer cruises from Seattle sailing to Alaska and Los Angeles sailing to the Mexican Riviera. The ship is 167,725 gross tons with a guest capacity of over 3,800 at double occupancy. So far we’ve already announced the results for six different categories and Carnival Cruise Line is leading the way by winning four and then Royal Caribbean in second winning two. Carnival’s SkyRide Wins Best Feature Three Years In a Row!